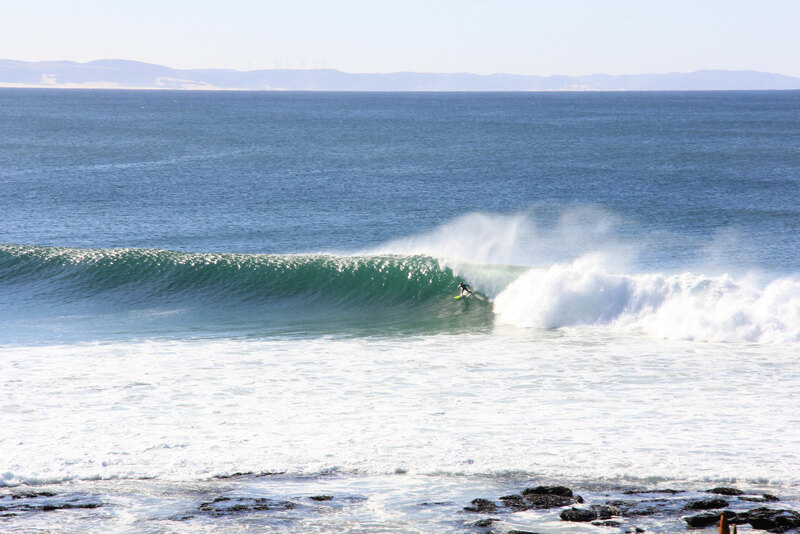 If the worlds most perfect point break right-hander doesn't mean anything to you, it certainly will once you've experienced the Kouga Wave Route. 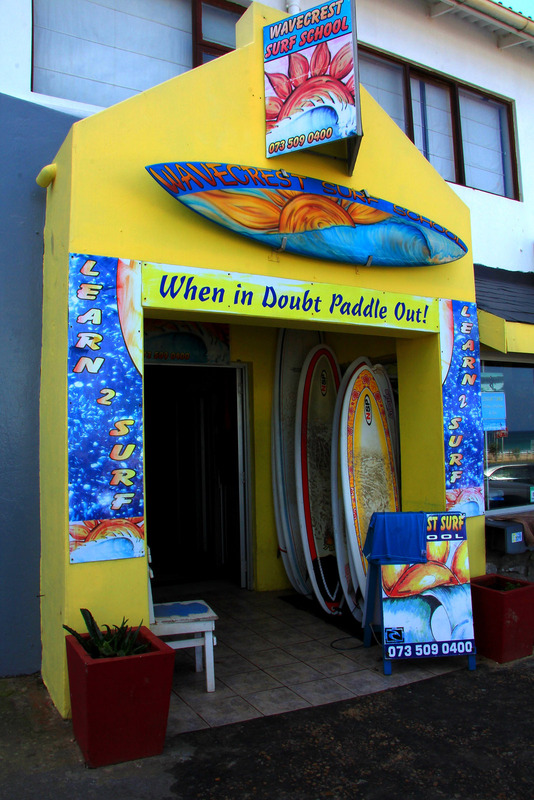 Head straight on to the R102 to cruise into one of the worlds top ten surfing destinations, Jeffreys Bay. 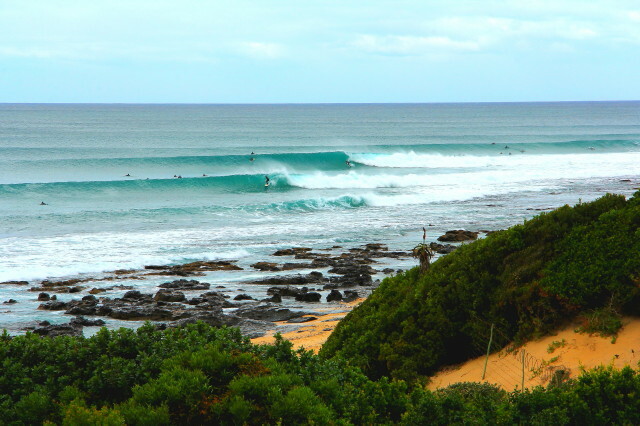 Home of the world renowned Supertubes a venue on the WCT world contest surfing tour. The wave is truly poetry in motion, with the familiar sight of the bottle nosed dolphin sharing the ride. 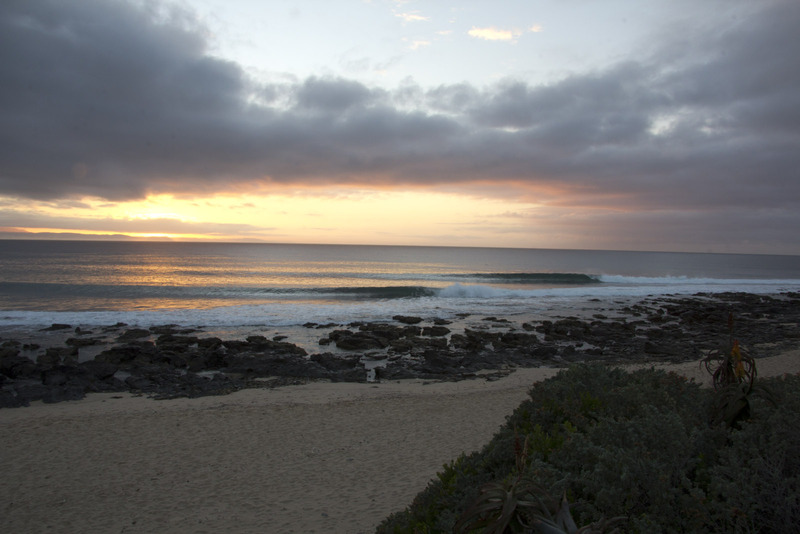 A surf mecca in every sense, the town of Jeffreys bay has an action packed agenda day and night, live music venues, coffee bars and seafood restaurants with stunning views over the bay make it hard to veer to far off Route 102. The action isn't reserved for surfers. 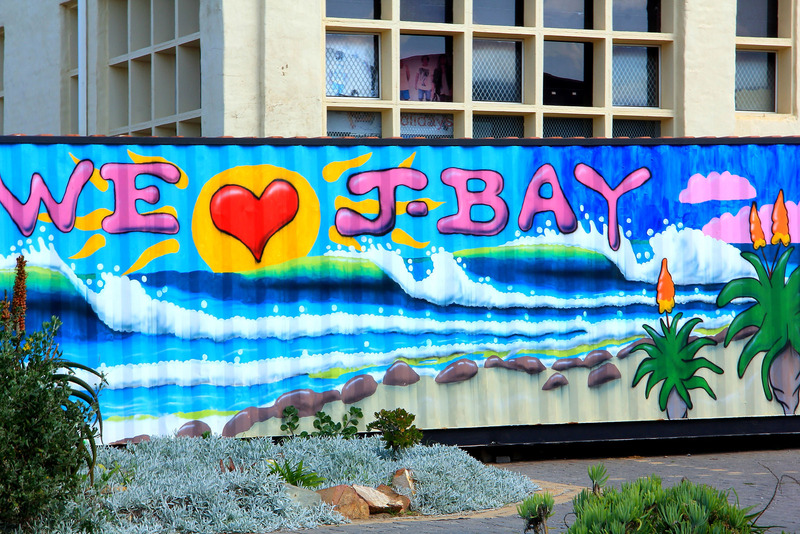 Established as a trading port in 1700's Jeffreys bay remains an Aladdins cave of curio, gift, and art shops. Sports equipment hire and organized adventure activities ensure that you get to experience anything from sandboarding to kite surfing. 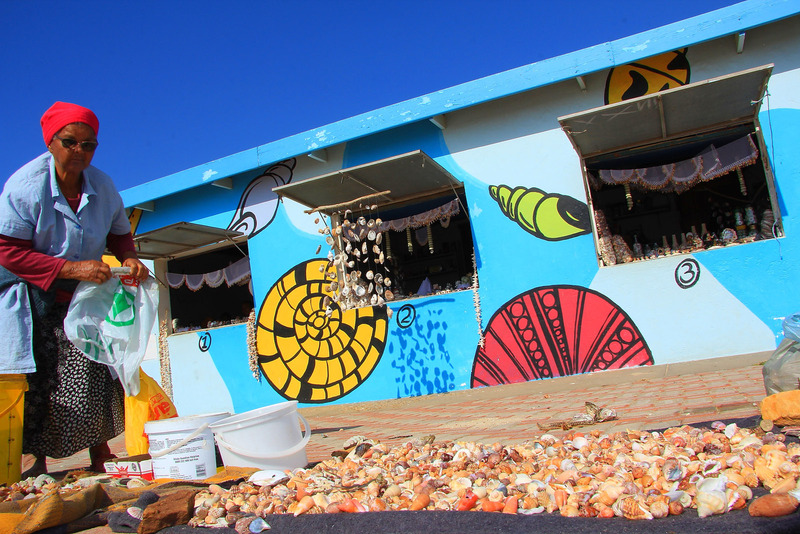 And for the lazy days, the world-acclaimed shell museum showcases an exquisite collection of sea shells and marine skeletons. 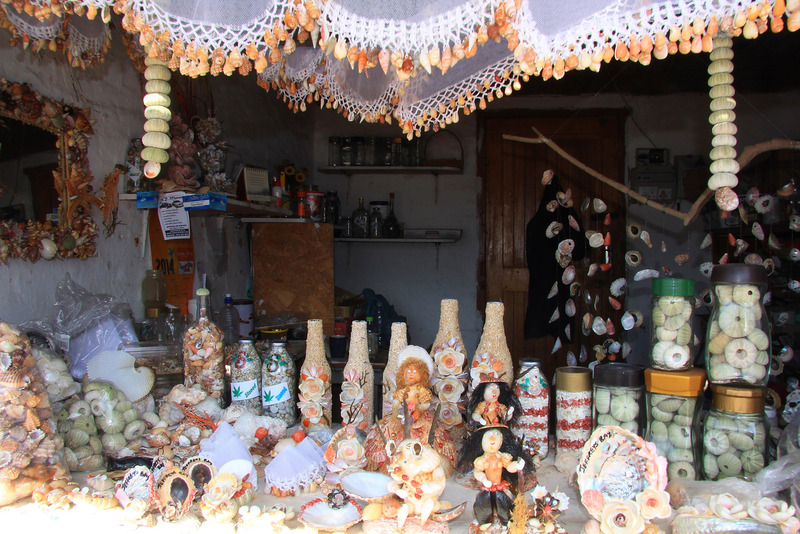 With over 400 shell specimens, it goes without saying that South Africa's most abundant coastline also boasts the oldest shell shop in the country. 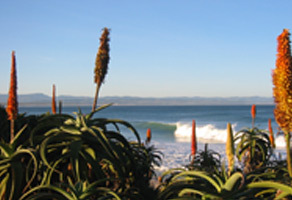 The surfing community of Jeffrey's Bay has a special relationship with the environment, aside from its passion for the ocean, the community preserves the very essence of the wave route spirit in projects such as dune rehabilitation programmer's and surfing contests organized to profile climate change issues. 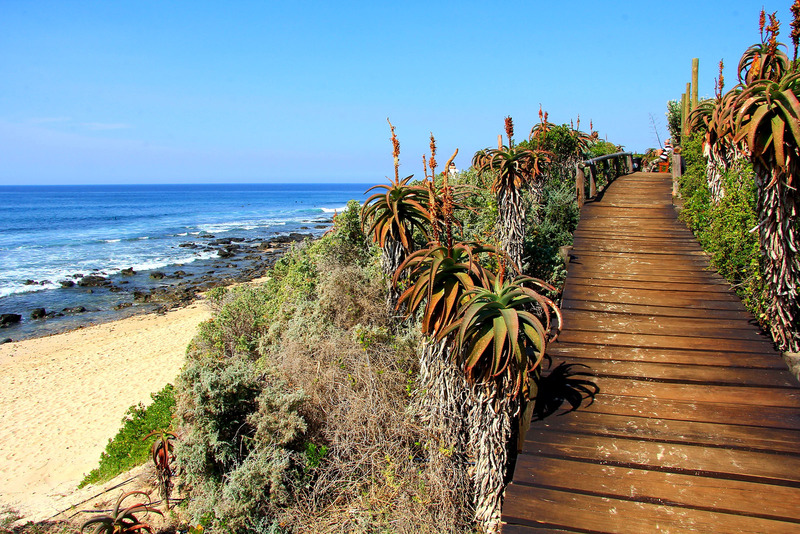 You needn't travel far from the town center to enjoy kilometers of coastal, estuarine and river valley nature reserves; Check the access gates with the local tourism office to explore Kabeljous, Noorsekloof and Seekoei Reserves. Nearly 200 species of birds have been recorded along the well-marked routes. The Port of St Francis maintains a constant buzz of activity with the resident chokka (calamari) fleets landing their catch amidst the hustle of the sea faring yachts and fishing boats preparing to venture into the Indian Ocean. 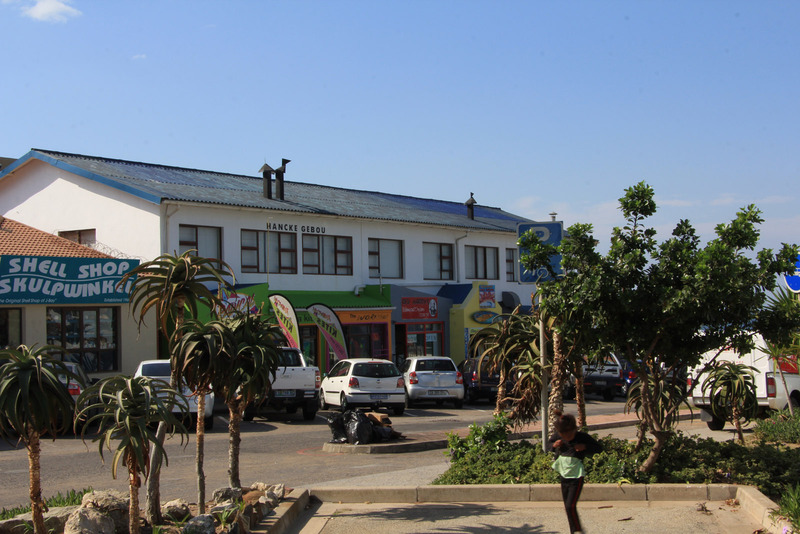 Named after St Francis, the patron Saint of sailors, this fishing village turned marina resort, maintains the charm of its humble origins in the characteristic black thatched and white washed cottages that line a series of canals. The harbor offers boutique shopping, excellent cuisine and the postcard memories of fresh fish take always enjoyed on the rocks where the seals play and feed. The bay offers over 30km ok pristine beaches. 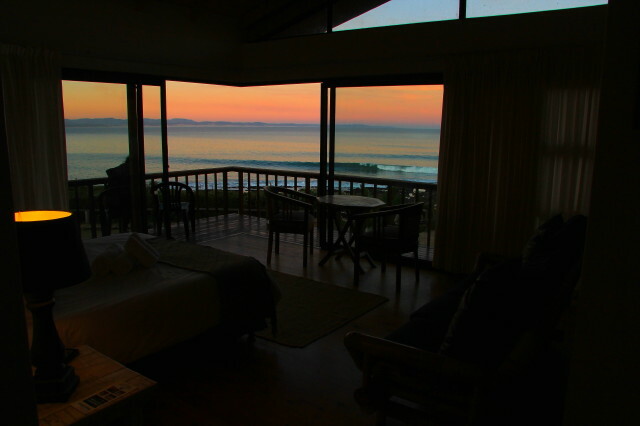 Safe to swim in the warm waters With whales and Humpback and Southern Right Whales (most notably between May and September). 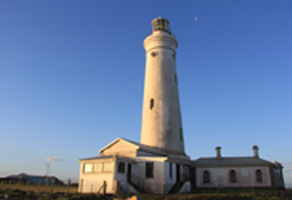 The Cape is marked by the tallest masonry structure on the South African coastline – the Cape St Francis Lighthouse. 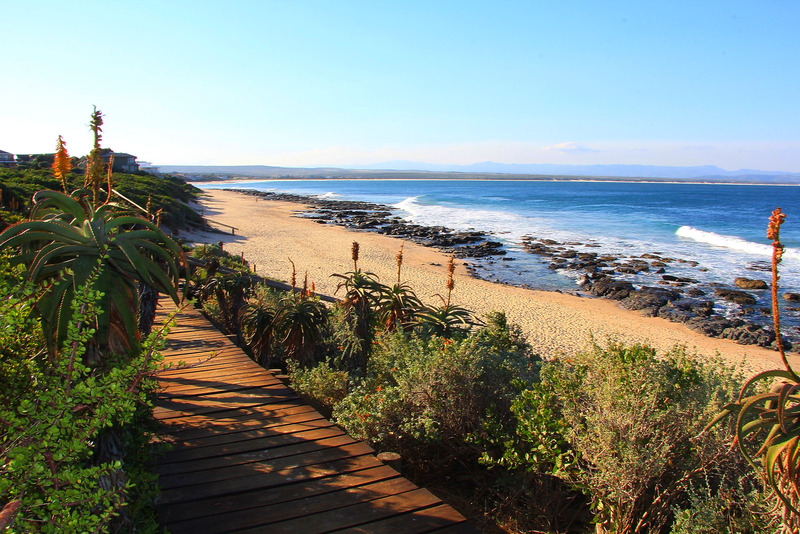 This national monument is an ideal base for exploring the rugged coastlines, dune fields and coastal fynbos. 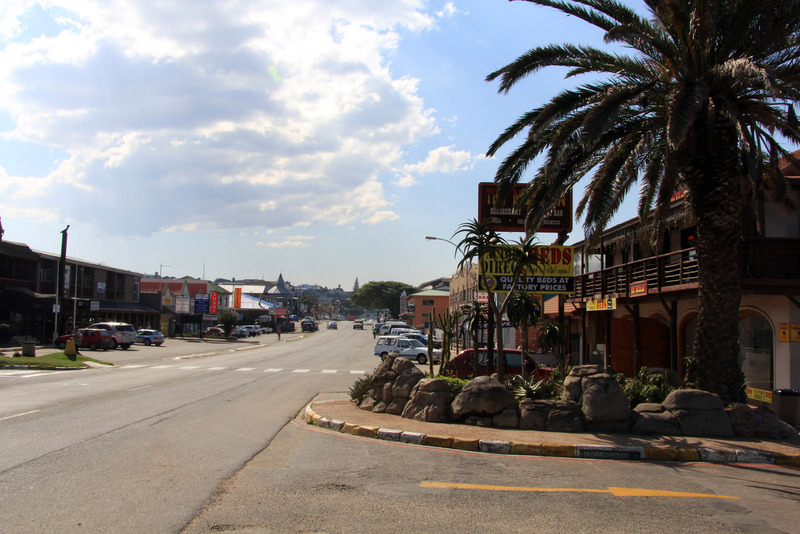 Also in the area, no fewer than four nature reserves offer a diversity of experience for the nature lover and adventurer. 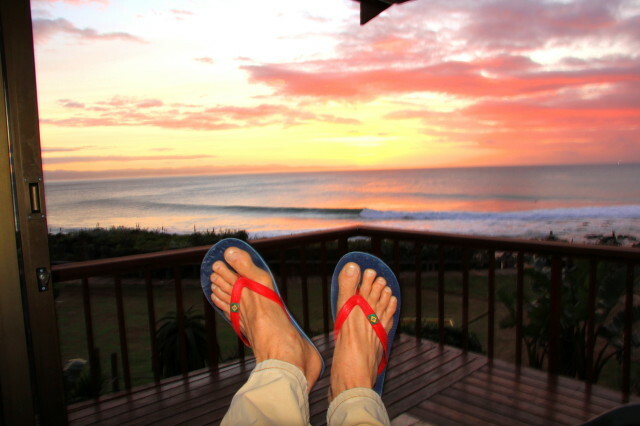 Be it a sunrise beach horse ride, a sunset boat charter or an 18 hole on the St Francis links course, the wave rout e experience has no limitations. The 70's cult film "Endless summer" introduced the world to the surf reef and dune fields of the wave route's endless experience. 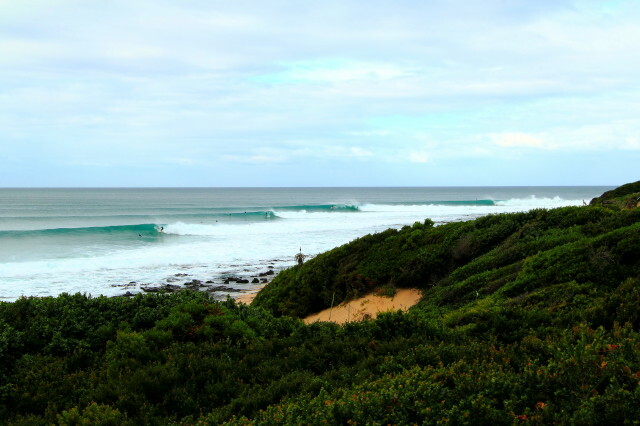 30 years on, the same world-class surf rolls in and only your footprint marks the dunes. Seal Point and Bruce's Beauties still rock!